2018 Cup Match Summer Splash moves from the City of Hamilton to the National Stadium South Field. This move will cement the concert series in the Bermuda calendar providing the venue to grow the event and enhance the patron’s experience. 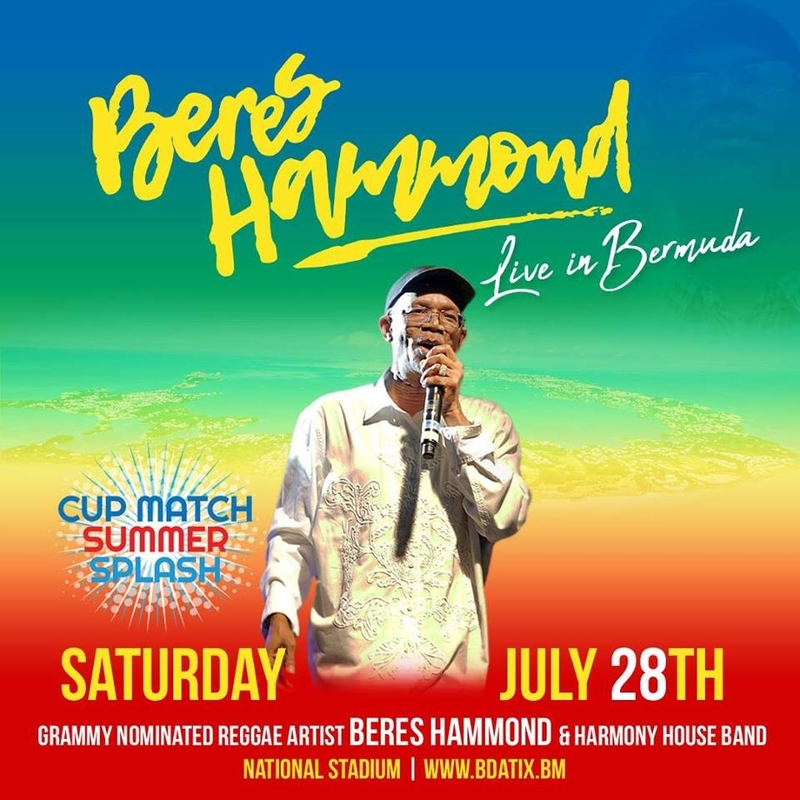 Saturday July 28th One Love One Life concert featuring Grammy nominated Reggae Legend Beres Hammond with the Harmony House Band and friends. General Admission have access to grandstand seats, first come first serve, no chairs will be allowed on the pitch.VIP includes; expedited venue access, two tented lounges with private bars, close proximity to stage, exclusive restrooms, plate of food, welcome drink and bottle of water. Ultra VIP Camps will be constructed from scaffolding with uninterrupted views of the stage and inclusive of food and beverage. Please inquire with the promoters to book.